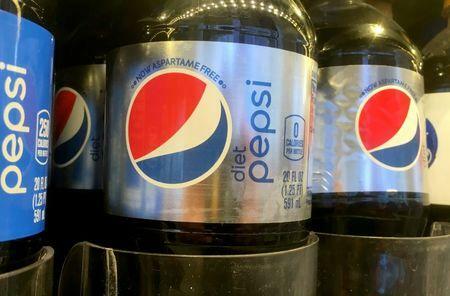 LONDON (Reuters) - PepsiCo Inc <PEP.N> has set a target for reducing the amount of sugar in its soft drinks around the world as part of a suite of goals aimed at tackling problems ranging from obesity to climate change. The move, which it plans to achieve by introducing more zero and low-calorie drinks and reformulating existing drinks, comes as PepsiCo and rival Coca-Cola <KO.N> come under increasing pressure from health experts and governments who blame them for fuelling epidemics of obesity and diabetes. 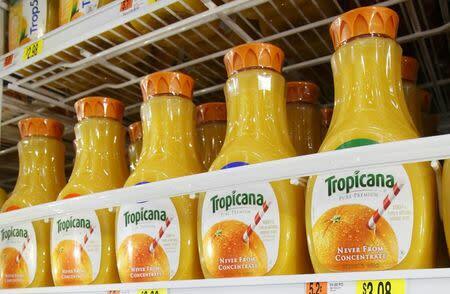 Other targets include a 15 percent improvement in the water efficiency of PepsiCo's direct agricultural supply chain in water-stressed areas by 2025 and a 20 percent drop in greenhouse gas emissions across its supply chain by 2030.